Fall has flown by, which means that winter will soon be upon us. With winter and the cooler weather, comes the long-awaited and anticipated holidays. As the holiday season closes in, thoughts of Christmas trees, colorfully wrapped presents and beautiful red and green lights are likely filling your head. There’s gingerbread house kits in the stores, advertisements for Black Friday and holiday movies begin to stream through your television set. You start to write down your Christmas list, jotting down the names of everyone that you need to purchase gifts for this holiday season. Your children, mother, father, sisters, brothers, cousins, coworkers and friends that are close to your heart likely make the list. 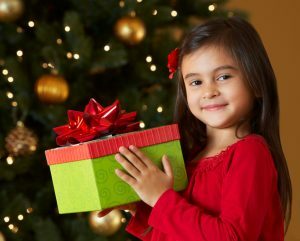 You smile while thinking about the gifts that you are going to buy them that will make their smiles light up at Christmas. You’ll buy a new golf bag for your father, a spa package for your mother, and fill the entire living room with toys and gifts for your adorable little ones. However, what if you stopped to take a moment to think about the less fortunate during the holiday season? What about the numerous children that come from those less fortunate families? Unfortunately, not everyone is well off when the holidays roll around and many children do not receive Christmas presents or a filling holiday meal. That is why Christmas in the Classroom aims to help children of less fortunate families experience the true magic of Christmas. What is Christmas in the Classroom? Christmas in the Classroom is an organization that provides presents to children at Title One Schools. Our goal this year is to provide one Christmas gift for every single child at five different Title One Schools this holiday season. For many of these children, this may be the only gift that they receive for Christmas. They also receive orange juice, milk or chocolate milk and candy canes during the special event. 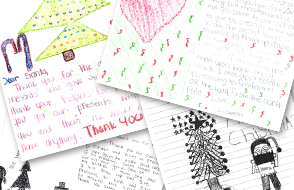 Providing a gift to every child at five different schools is certainly a lofty goal. However, we know that with the generosity of vendors, suppliers, families and friends like you, we can achieve our goal and bring smiles and joy to less fortunate children this Christmas season. Donations can also be made directly through the website at www.christmasintheclassroom.com. If you have any questions at all, please feel free to contact us at 909-374-4307. We look forward to your donation and thank you for your assistance in spreading holiday joy during this joyous time!